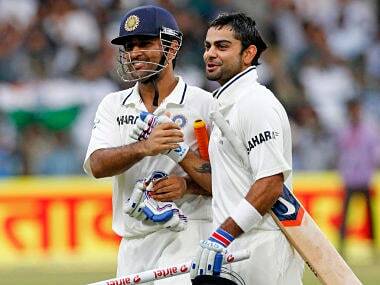 Mumbai: Praising Mahendra Singh Dhoni for his ability to keep cool in the face of adversity, Indian Test captain Virat Kohli on Friday said he was eager to learn this art of maintaining composure at all times from his predecessor. "He has set the bar as far as captaincy is concerned. He has won everything possible, and number one (ranking) in ODI, number 1 Test status and the T20 also. 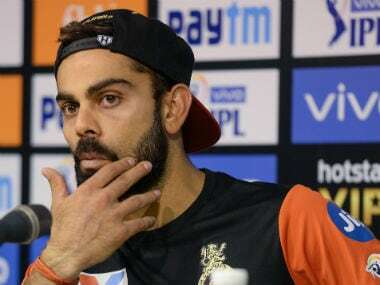 He has left nothing to achieve for any other captain," said Kohli when asked by former cricketer Sanjay Manjrekar on what qualities would he like to imbibe from Dhoni. Manjrekar was the master of ceremony at the panel discussion, also featuring Kohli's Test teammates Ajinkya Rahane and Shikhar Dhawan as well as International Cricket Council's Chief Executive Dave Richardson, after the formal launch of the World T20 Championship to be held in India in March-April, 2016. "But all I can try and do in the Test format, and I have said this before, is learn more composure from his captaincy. And that (is) something I felt I have improved in the last couple of series. But his ability not to panic in pressure situation is something that I would like to learn," said Kohli. "I have been learning, I have been vice captain for a while, have been noticing what he does in different situations," added Kohli who led India to a come-from-behind Test series win in Sri Lanka after 22 years and then guided the team to a 3-0 win over South Africa in the recently concluded four-game Test series at home. Kohli recalled watching India's triumph under Dhoni on TV in the inaugural World T20 championship in 2007 in South Africa. "I, along with the whole country, was watching the final (against Pakistan) and it was more special as that was before (advent of) IPL. No one actually knew what the format is really like and the excitement of that particular event was massive. "That was a major milestone as far as Indian cricket is concerned. 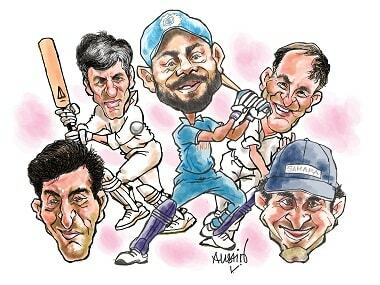 It was virtually the launch of MS Dhoni - the captain - the way he expressed his tactics on the field, the way he led a very young team at a world stage. "Guys like Rohit (Sharma), S Sreesanth - all these guys were new to the team. The way he led them at a world stage, making them believe that this can be done. From there on he became this big figure in terms of captaincy in world cricket. His captaincy was praised all over and he became a figure of reputation for Indian cricket all over," Kohli, then 19, said. In a thriller, India had defeated Pakistan by a narrow margin of 5 runs to lift the first ICC World T20 title in Johannesburg.